(5 Pairs) Replacement AED training electrode pads adhesives may be used with the LIFEPAK® 500 and LIFEPAK® 1000 trainers. Plastic electrode pads conduct no energy. 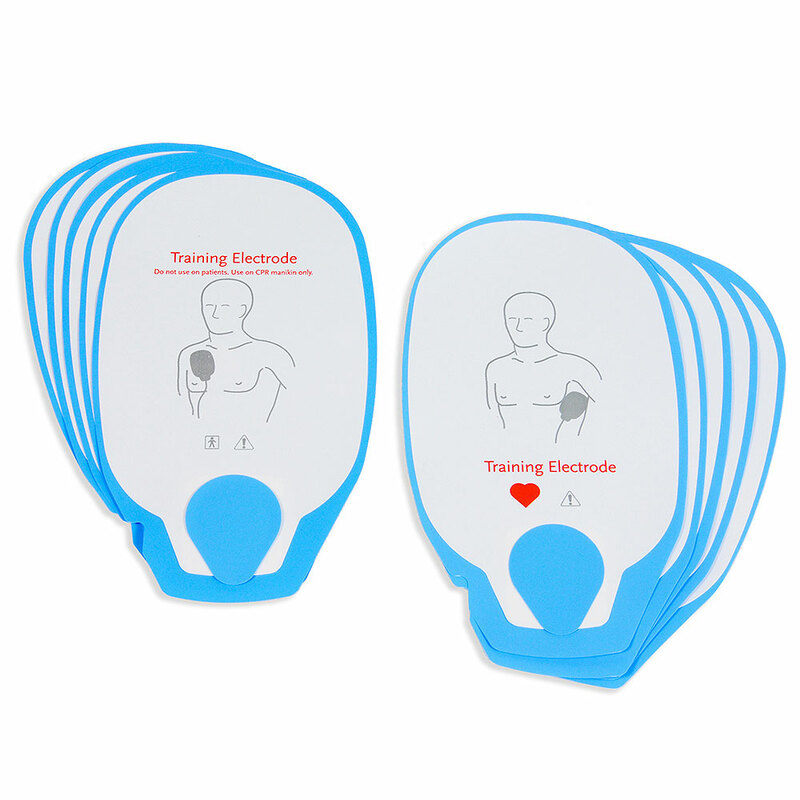 One pair of reusable AED training electrode pads (adhesive pad portion only). Each pair good for approximately 30 applications. Note: May not be compatible with old style training electrode pads. Requires cable/connector assembly and reusable pouch (P/N 3200425) sold separately. Needed to order these on very short notice and was pleased to receive them promptly.Best price I could find as well.